The conference theme "Landfall of the Tech Storm" focuses on the impact of technology upon the insurance industry and the changing client interaction, discussing the legal issues in distribution, claims and insurance services which technology is bringing. 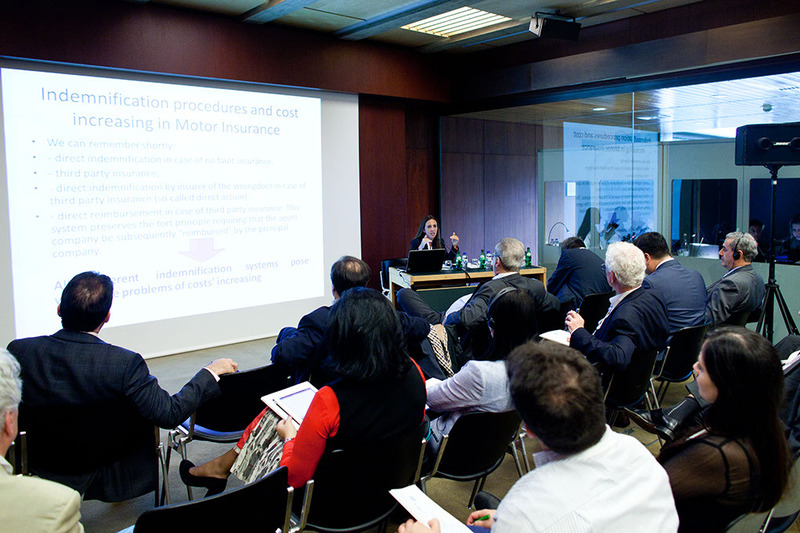 A special focus of the conference will also be issues related to insurance distribution (incl. the new EU Insurance Distribution Directive 2018. This has been the subject of an AIDA Europe Call for Papers, the results of which will also be featuring in the up-coming conference. 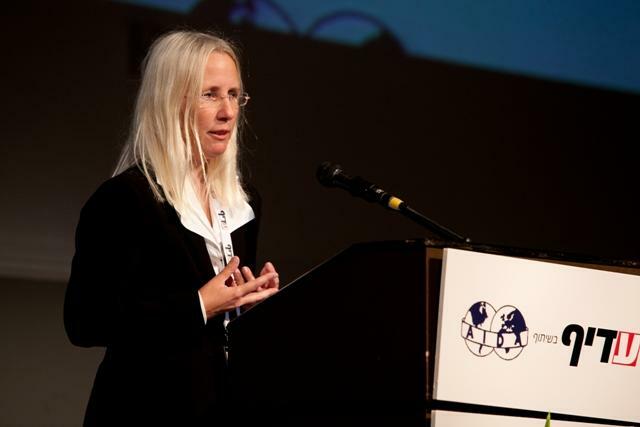 Further relevant topics for the Lisbon Conference include Artificial Intelligence in insurance business; Autonomous vehicles and the EU law where the particular ADIA Working Party covering this topic has entered into a cooperation with ASTIN (the International Actuarial Association); Issues on the international insurance programs, including Brexit and Hot-topics on the legal and regulatory front, currently facing the industry. Furthermore, a number of AIDA Working Parties have announced their presence in Lisbon addressing conference matching but also non-matching topics. 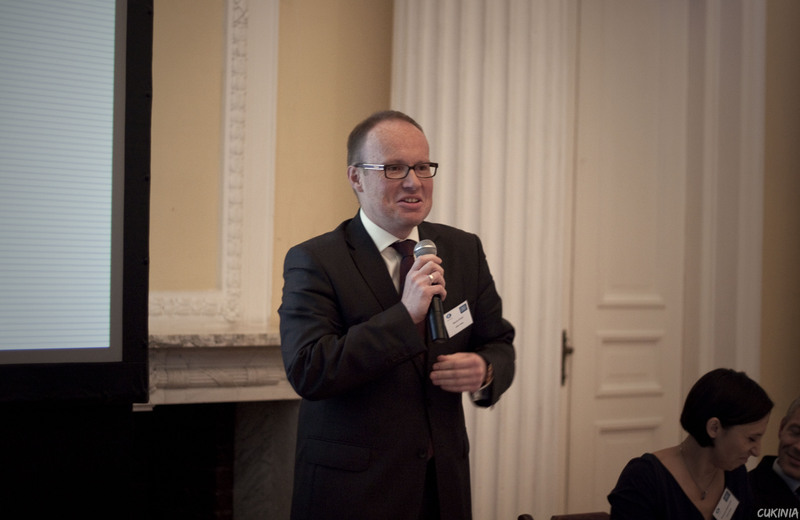 The conference will also follow the developments since the last AIDA Europe Conference in Warsaw and look at the developments on matters debated in Warsaw, notably the InsurTech related developments and a progress review on the project of Principles of Reinsurance Contract Law (PRICL) . Attached is a Call for Papers in respect of the 8th AIDA Europe Conference which takes place in Lisbon, Portugal on 3/4 October 2019. The deadline for papers is 31 March 2019. AIDA-US is Co-Sponsoring a half day event at the Old Library at Lloyds on May 7th. The subject matter is extremely interesting, hi-tech and makes for a wonderful visual presentation as well. 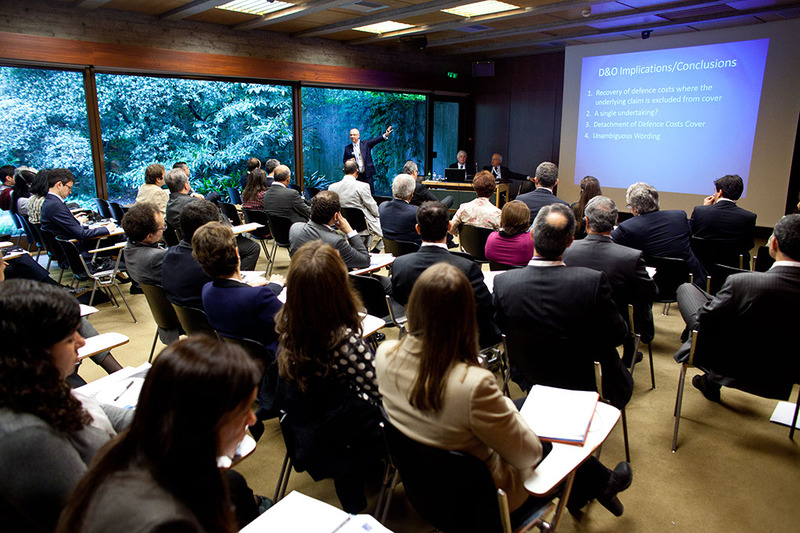 The link for Lloyd’s and London Market Attendees is: https://accolademgt.wufoo.com/forms/use-of-visual-technologies-in-us-courtrooms/ . The link for all others is https://accolademgt.wufoo.com/forms/use-of-visual-technologies-in-us-courtrooms-q1acvlbt08qkat2/ . AIDA Morocco Conference, 23 - 25 April 2019 - "Natural Hazards and Catastrophes"
According to Article 15 of IDD (European Directive on Insurance Distribution EU 97/16) Member States shall ensure that adequate and effective, impartial and independent out-of-court complaint and redress procedures for the settlement of disputes between customers and insurance distributors concerning the rights and obligations arising under this Directive are established in accordance with the relevant Union legislative acts and national law, using existing bodies where appropriate. 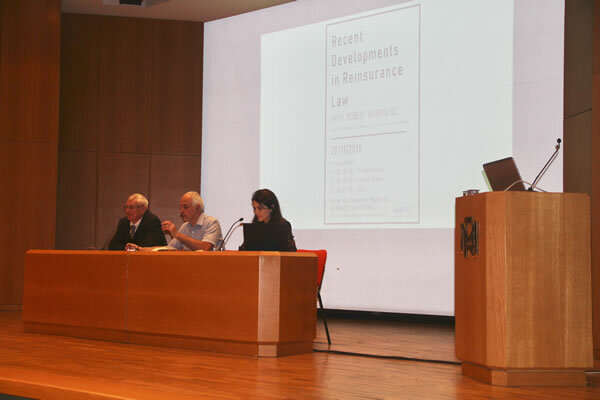 The Congress aims at studying the possible application of the present article in Italy with a comparative focus taking in to account the main objects of litigations in insurance matters. 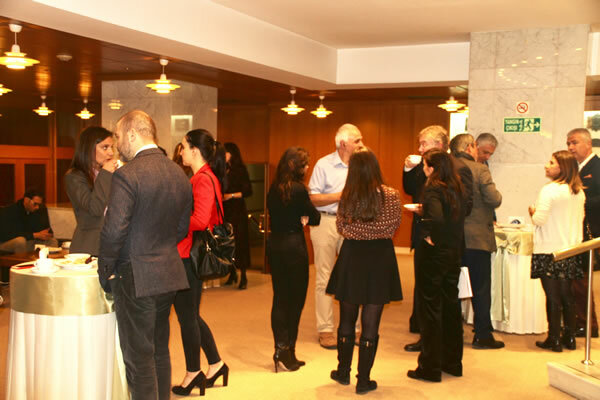 'Recent Developments in Reinsurance' seminar organised by the Turkish Insurance Law Association (TILA) was held at Milli Reasürans, Istanbul on 20 November 2018. Prof. Robert Merkin (past President of the British Insurance Law Association (BILA) and past Vice-President of AIDA; Lloyd’s Professor of Commercial Law at the University of Exeter) gave an overview of the recent developments in reinsurance law focusing on recent court decisions from the UK and the project of 'Principles of Reinsurance Contract Law' (PRICL). The seminar was attended by insurance law academics, legal practitioners, reinsurance brokers, and reinsurance company representatives. 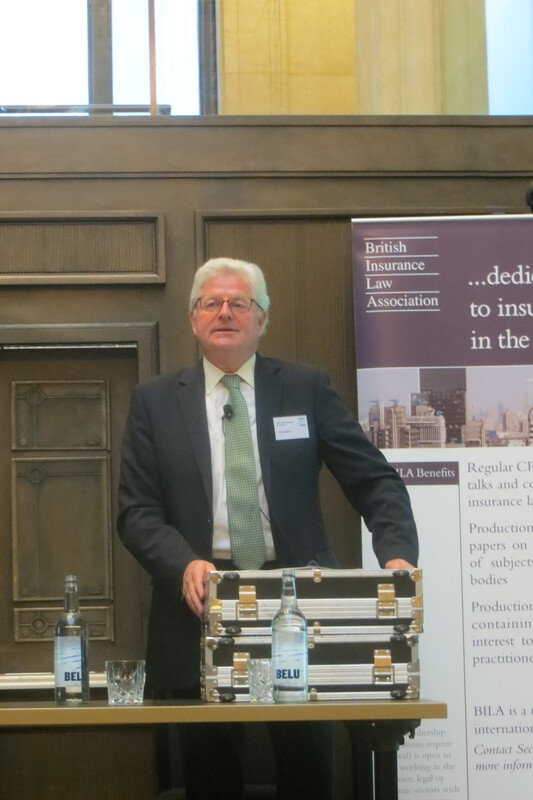 The questions during the Q&A Session centred on issues such as subrogation in reinsurance, follow the settlements clauses, and the presumption of back-to-back cover. The seminar was moderated by Prof. Samim Ünan (Vice-President of TILA and Honorary Member of the Presidential Council of AIDA; Professor of Insurance Law Galatasaray University) as well as Dr. Ayşegül Buğra (AIDA Representative of TILA and Presidential Council Member of AIDA; Assistant Professor in Transport and Insurance Law at Koç University). The Russian Chapter held an event in Moscow - "Branches of foreign insurance companies in Russia: in search of a balanced approach to regulation" on 12 November 2018. Information on the event can be found HERE. 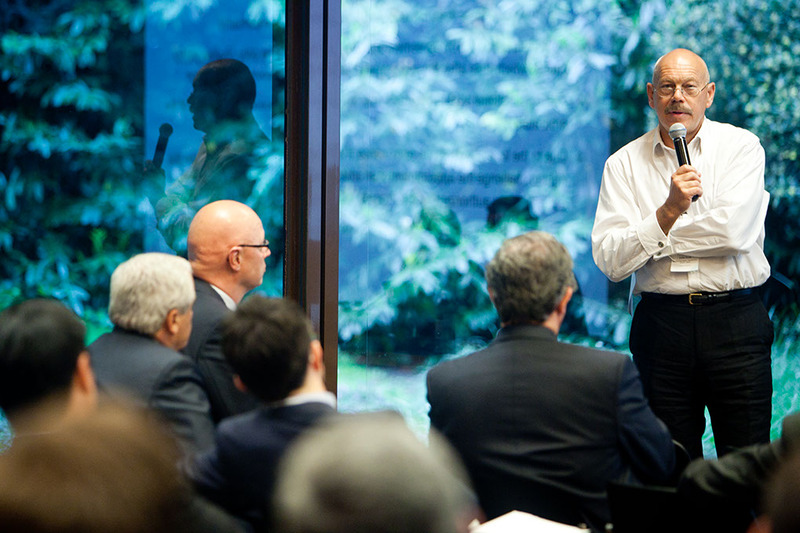 It is a great pleasure to inform you that Prof. Pierpaolo Marano, Member of the AIDA Europe Committee and Chairman of the AIDA Europe Scientific Committee has been appointed as academic member of the Insurance and Reinsurance Stakeholder Group at EIOPA. This appointment is of high interest to AIDA Europe, which has as one of its main goals the furtherance and harmonization of the insurance and related law. 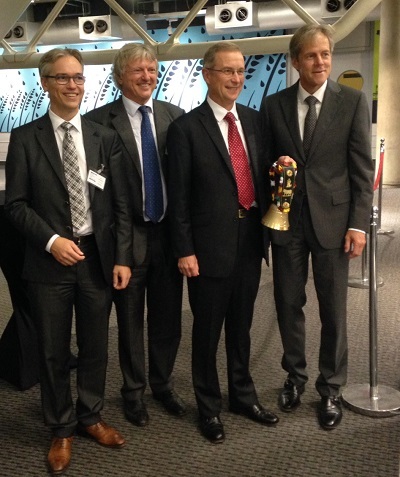 Please see the corresponding link to the EIOPA webpage for further information. 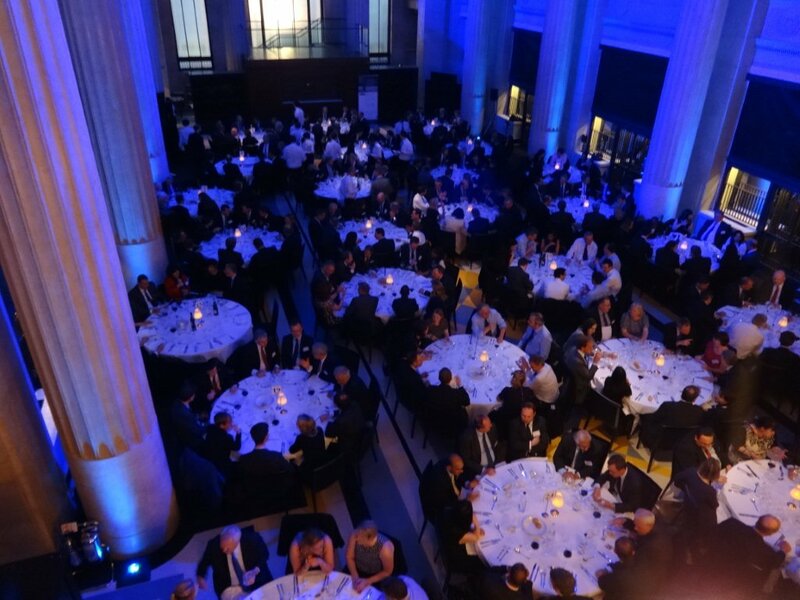 Approximately 270 delegates attended the highly successful Asia-Pacific Insurance Conference (APIC17) in Singapore with as many as 340 gathered for the event’s Gala Dinner. the Federation of Defense and Corporate Counsel (FDCC), the Hong Kong Insurance Law Association (HILA) and the Taiwan Insurance Law Association (TILA). APIC17 focussed on the intersection of insurance technology, regulation, dispute resolution, product design and the law as they impact upon the Asia-Pacific Insurance Industry. 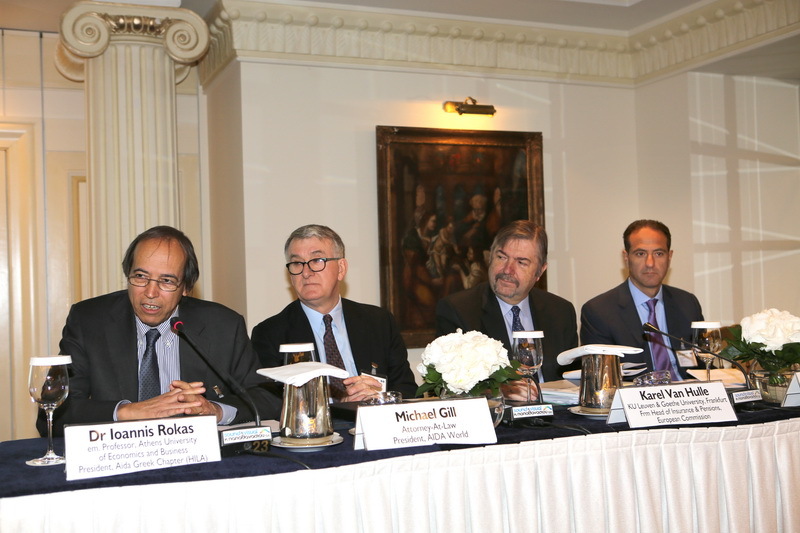 Paul Jackson, Stroz Friedberg; Neil Campbell, QC, New Zealand; Phil Taylor, MD, MDD; Nick Sykes, Clyde & Co; Meryl Lieberman, Traub, Lieberman, Straus & Shrewsberry LLP, USA. Nine very well-attended AIDA International Working Parties were held on Wednesday 18 October 2017, followed by two days of plenary sessions over Thursday 19 October and Friday 20 October 2017. On Tuesday 17 October 2017 meetings were held of the AIDA Executive Committee and Presidential Council. Reports and details of the Working Party presentations may be found on the Working Parties pages of this website very shortly. Similarly, details of the presentations made in the plenary sessions of API17 will also appear here shortly. 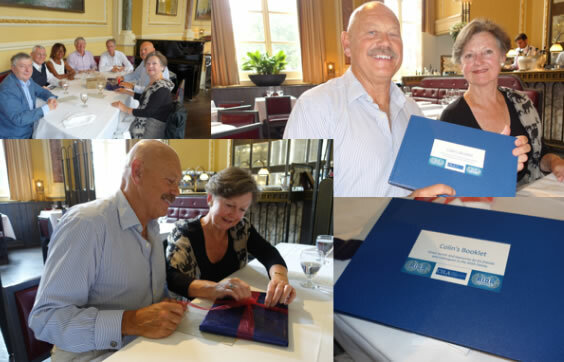 At the occasion of a small luncheon gathering on 21 August 2017, attended by Jérôme Kullmann, Tim Hardy, Samim Ünam, Sandra Dellimore and Christian Felderer, a Booklet was handed over to Colin and Clare, comprising some words and memories by his friends and colleagues in the AIDA Family. Thank you to all of those who made a contribution. 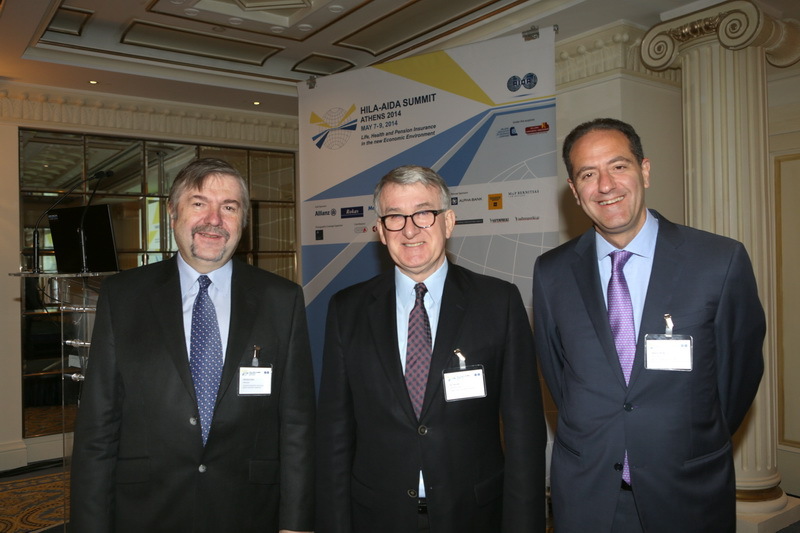 The conference “Consumer protection on the Russian insurance market – impact of the recent developments in the EU” was organized by the AIDA Insurance Legislation Working Group (AIDA Russian Chapter) within the AEB Insurance and Pensions Committee. The event took place on 14 September 2017, Thursday, from 10:00 to 19:00 at Hotel InterContinental Moscow Tverskaya, hall Rodchenko (Tverskaya ul., 22, Moscow). In 2016, the AEB joined the International Insurance Law Association/Association Internationale de Droit des Assurances (AIDA) as AIDA National Chapter in Russia. 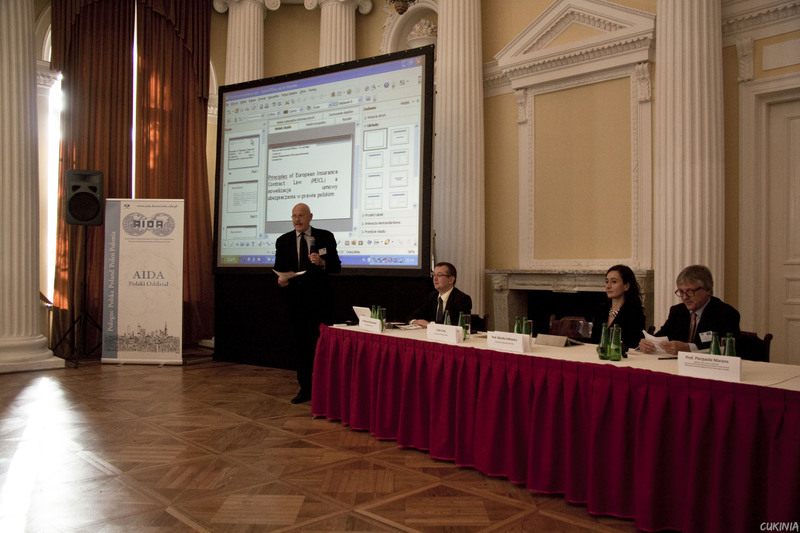 Under this umbrella, the AIDA Insurance Legislation Working Group (AIDA Russian Chapter) within the AEB Insurance and Pensions Committee plans to organize a series of events on legal issues related to the supervision of insurance companies on the Russia market, changes to civil legislation on insurance, and the protection of the rights and interests of international insurance operators on the insurance market in Russia. This event covered the following topics: consumer protection as the main focus of the insurance regulation development; consumer protection law enforcement practice; consumer rights protection in selected types of insurance; consumer/beneficiary protection in CMTPL contracts. 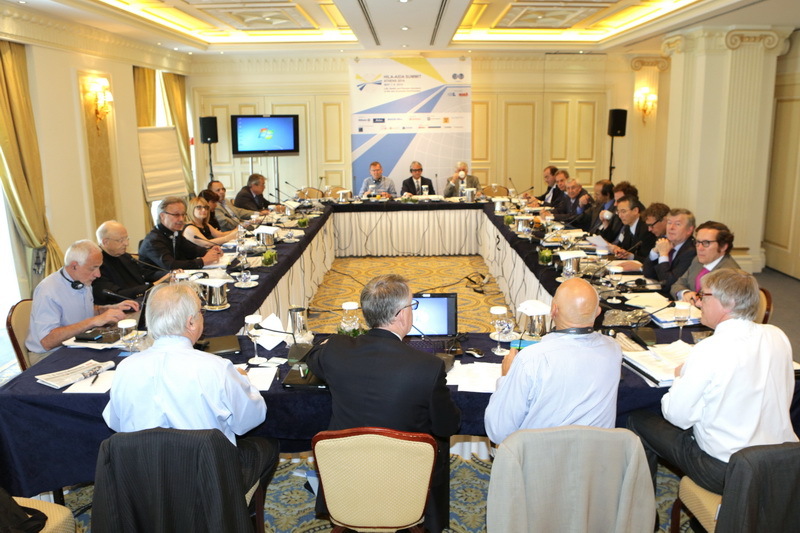 here was participation of international experts from the EU, France, Germany, South Africa, Turkey, etc. in the conference. 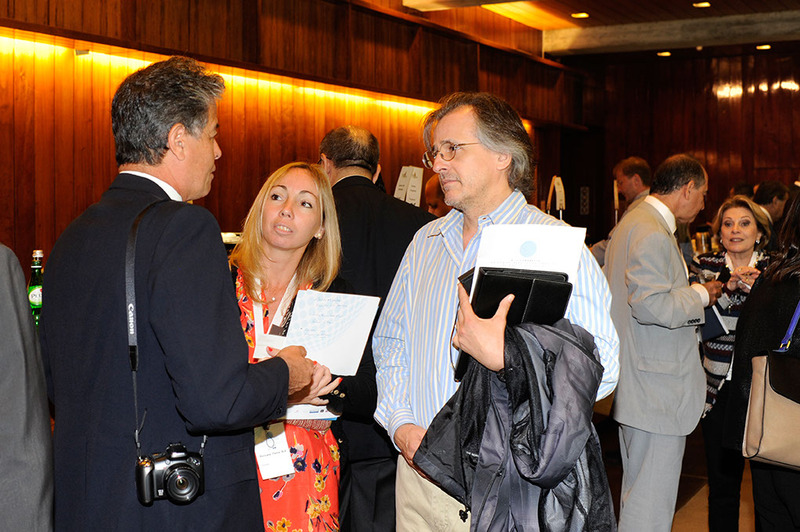 The event provided a platform for discussion and exchange of ideas and solutions, as well as a unique networking opportunity. New rules of insurance distribution. The scope of new powers of the regulators related to insurance distribution. 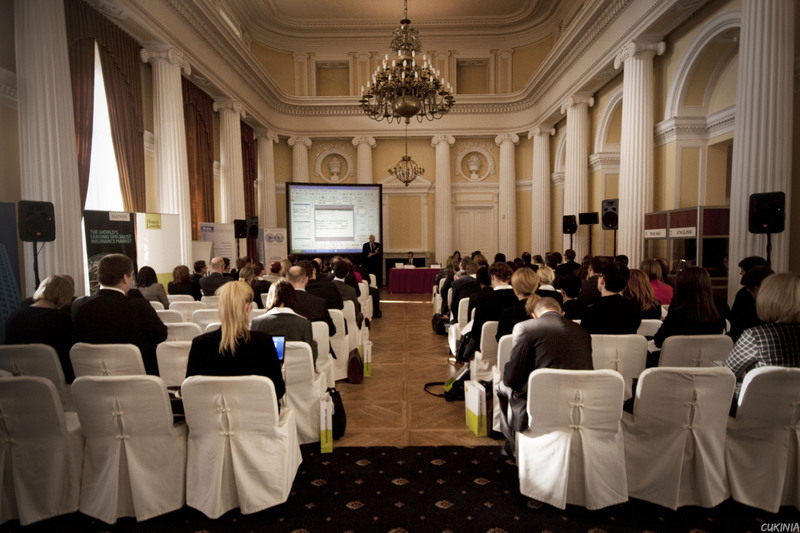 The Russian Chapter of AIDA planned for a series of events on legal issues related to the supervision of insurance companies on the Russia market, changes to civil legislation on insurance, and the protection of the rights and interests of international insurance operators on the insurance market in Russia. 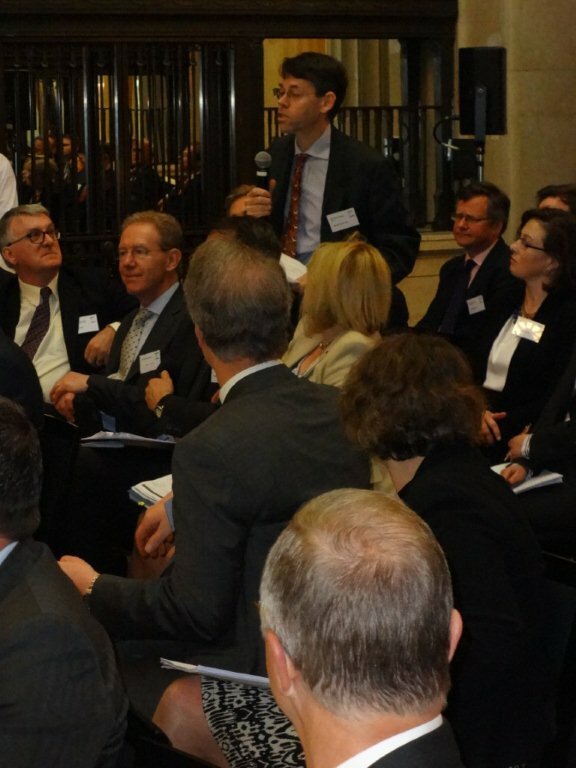 The first event took place on 28 March 2017 - "Reinsurance regulation in Russia: changes following Federal Law N363-FZ dated 03.07.2016"
news about the event in Russian and English. photo report is available HERE. The conference aimed to consider some key aspects of the dynamics between Banking Market and Insurance Market that take into account the current situation in a law/economics perspective and prospects that are emerging: the transparency and the legal aspects related to the protection of the consumers, the impact of the new EU directive on insurance mediation ( IDD2); methods of distribution of insurance products through the bank channel; legal analysis of the leading European Bancassurance models; interactions between the banking institution; cooperation and competition between banks and insurance companies. Attached is the programme. Attached Programme and Registration Form for the XV CILA Congress which took place in Santa Cruz de la Sierra, Bolivia from 2 to 5 May 2017. On Tuesday 2 May, a meeting of the Executive Committee of the Presidential Council took place at 09.00h � 12.00h followed by the Presidential Council at 15.00h � 18.00h. Working Party meetings were held on Wednesday 3 May. On 24/25 November 2016 the Hungarian AIDA Chapter held their XIV Colloquium in Hotel Gellert, Budapest. 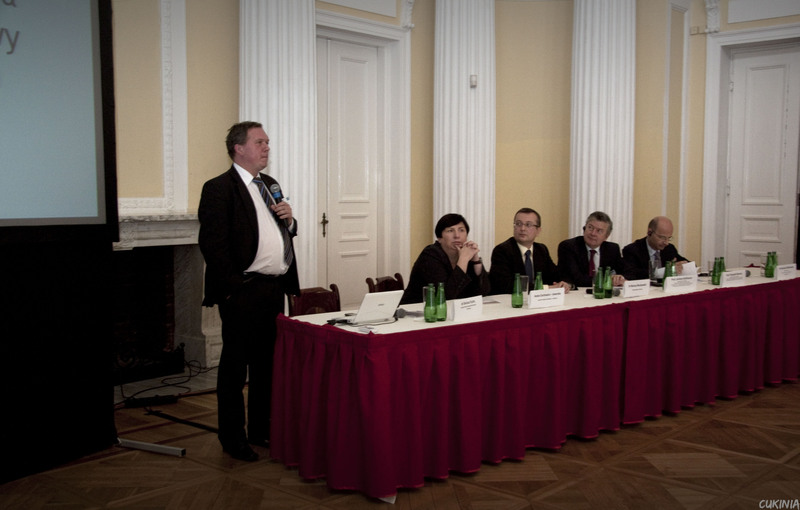 The topic of the conference was �Insolvency of Insurers, Insurance of Insolvencies�. 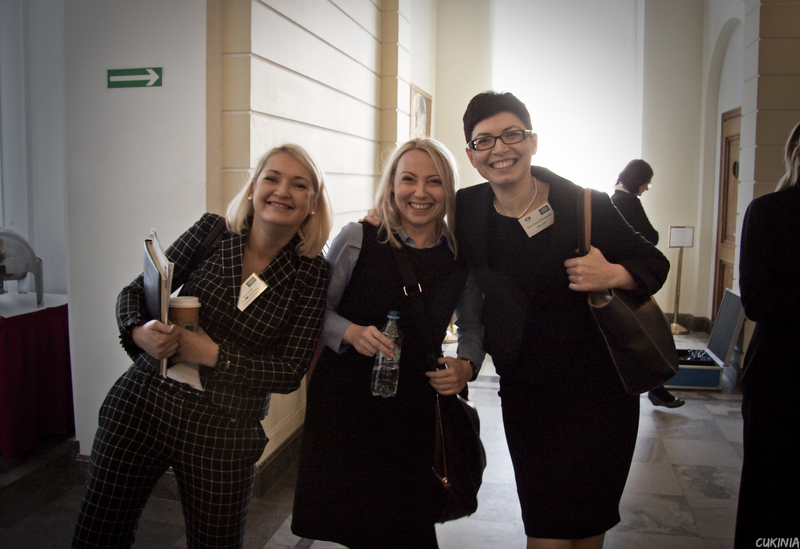 The Polish Chapter of AIDA had its 4th Conference on 14 October 2016. Attached is the Registration Brochure for the Conference. Attached Programme for the above conference which aimed to consider the current status and the possible scenarios of the insurance market reform in an interdisciplinary perspective. 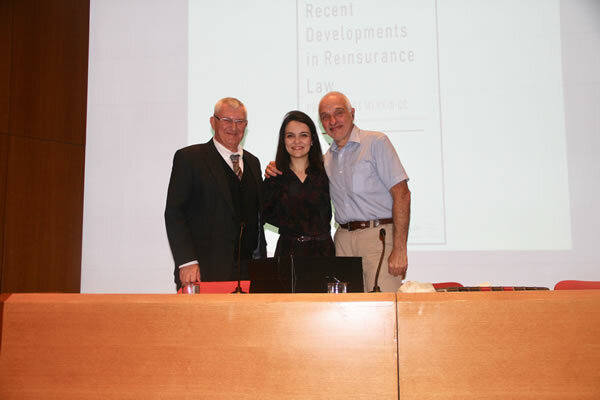 CILA Award for Academic Excellence regarding Topics relating to Insurance and Reinsurance Law 2015 - 2016 - The �Dr Arturo Diaz Bravo (Mexico)� Award. Any paper submitted should be in Spanish or Portuguese. Attached is the Programme and link to AIDA France�s website - http://www.aida-france.org/. 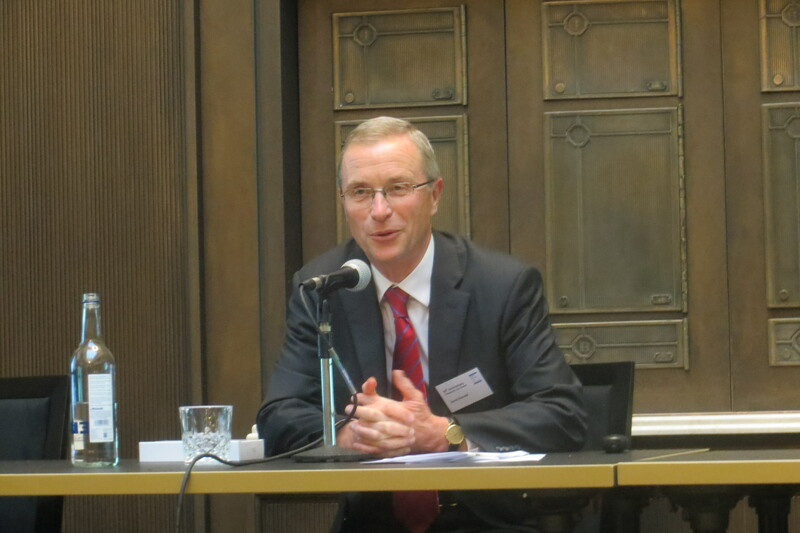 TILA�s first conference on Important Issues and New Perspectives of Insurance Law took place on 22 and 23 October 2015 in Taipei. Attached is the Programme. Congratulations are extended to AIDA Vice President, Rob Merkin, upon his appointment in London on 14 January 2015 by H M The Queen as one of only six new Queen�s Counsel Honoris Causa. The Lord Chancellor, who presided over the appointment ceremony conducted in Westminster Hall on 16 February 2015, explained that the six Honorary Queen�s Counsel were nominated by their peers and that the honorary appointments were in recognition of the important contribution to the law in England and Wales each had made beyond the domain of the court room. Professor Robert Merkin is Professor of Law at the University of Exeter. 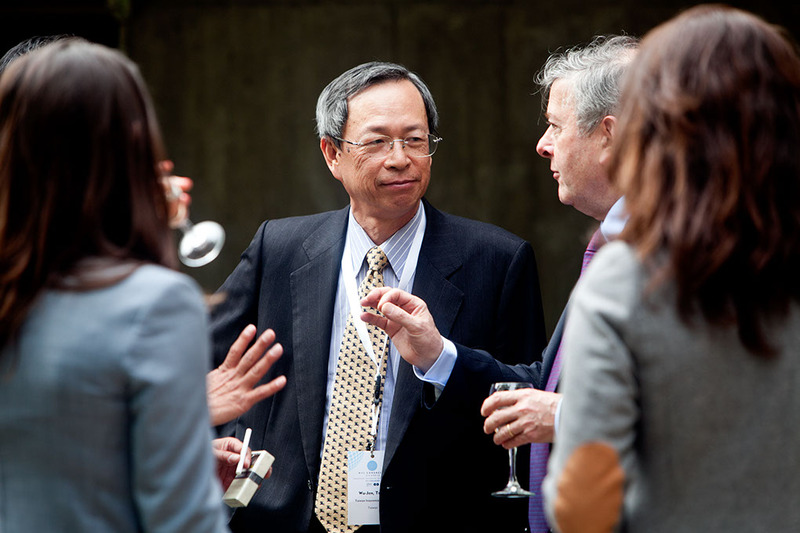 He has been recommended for his contributions to arbitration and insurance law over the past 20 years. He is widely published, for example, Colinvaux�s Law of Insurance (6th ed 10th editions 1994 to 2014), Sweet & Maxwell, amongst many others. 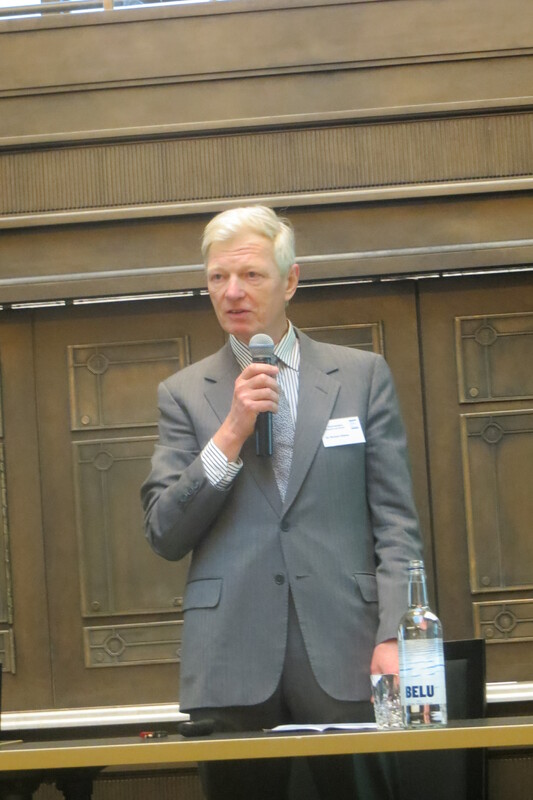 Robert lectures globally on both arbitration and insurance law and is known as an expert in several jurisdictions, including China, New Zealand and Australia amongst others. His nomination also focuses on his being cited in the same week by three different judges, for example, in an insurance case by Mr Justice Field in Tokyo Marine v Novae Corporate  EWHC 2105 (Comm). His works have been cited in well over 150 judgments in a number of jurisdictions. 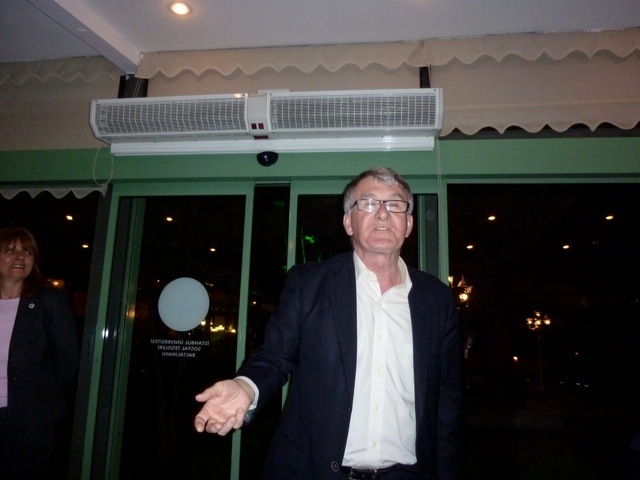 Robert has held many appointments, for example, Presidential Council, AIDA, 1991 to date, elected Vice-President May 2010 to date; Vice-President and then President, British Insurance Law Association, 2008 to 2012. 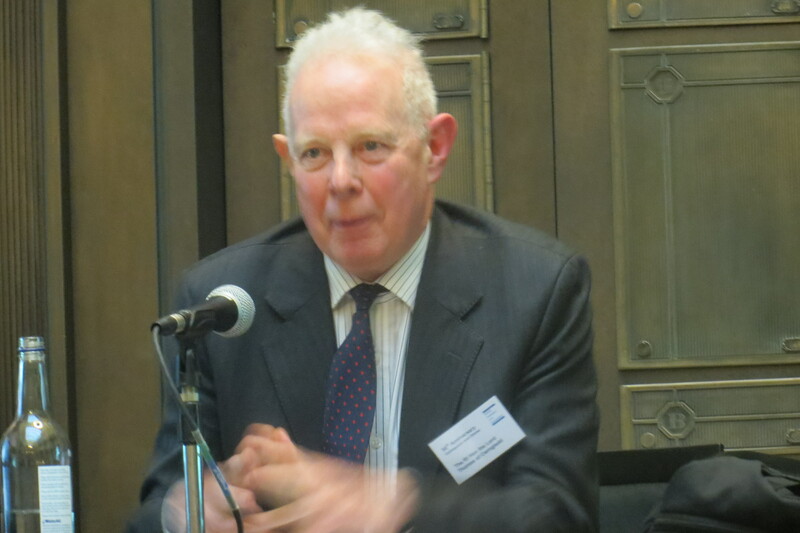 He was the winner of the Australian Insurance Law Association prize 2010 for his contribution to Australian insurance law and is an Honorary Professor of the University of Auckland. In December 2014 he was Expert Adviser to the House of Lords Special Public Bills Committee on the Insurance Bill 2014. Attached Draft Programme for the XVI Annual Conference of the Association for Insurance Law of Serbia "Insurance Law, Governance and Transparency: Basics of the Legal Certainty", 17-19 April 2015. The insurance conference of the German Chapter in co-operation with the Turkish Chapter was held in Berlin on 20 March 2015 - Attached is the flyer (programme and registration terms) in German. Attached is the Programme and Registration Form for the 48th Congress AIDA - Section Piemonte - Valle d'Aosta , held in Turin on 12 December 2014. 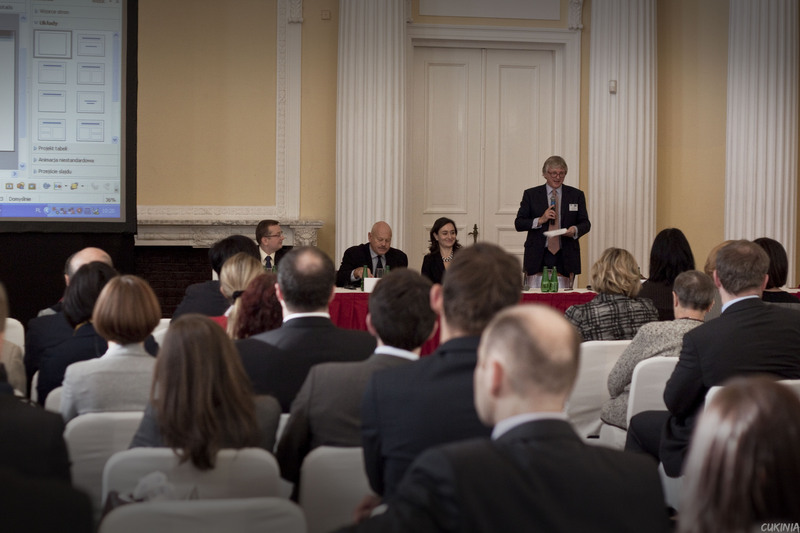 Attached flyer for the III Polish Chapter conference "Civil Liability Insurance" which took place in Warsaw on 1 December 2014. 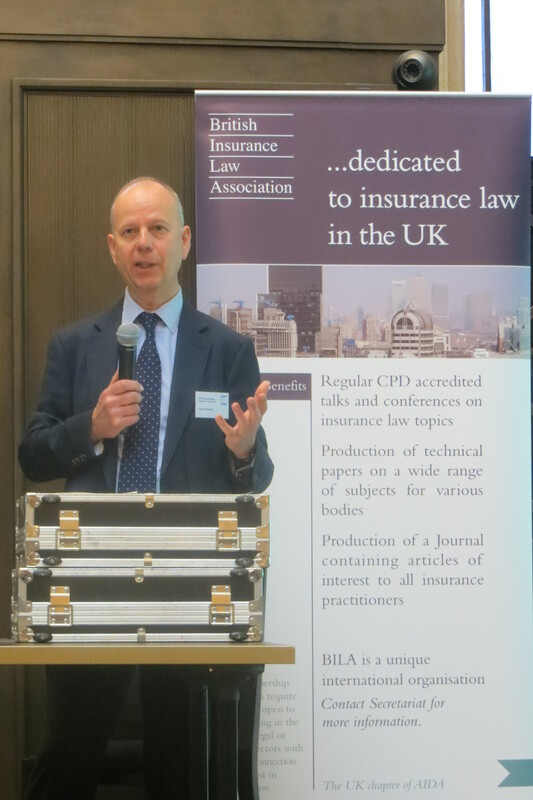 Christian Felderer and Lars Gerspacher of the AIDA Swiss Chapter delivered the BILA lunchtime lecture on Friday 19 September 2014 to a large gathering in the Old Library at Lloyd's of London on the Key Differences between Swiss and English Insurance Law. 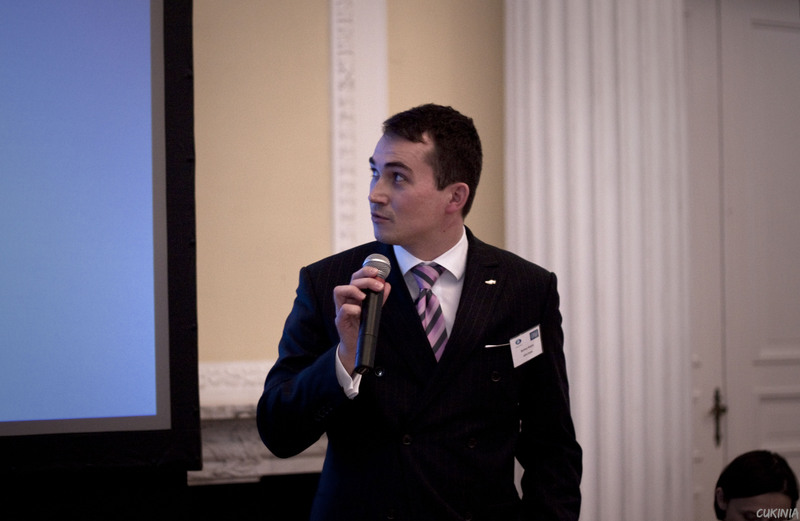 Their presentations addressed key features and current issues of the Swiss insurance regulatory system, including Solvency II equivalence and a particularly interesting analysis of some of the stumbling blocks encountered in the context of London Market wordings being employed for Swiss-based business in terms of subrogation challenges, pre-contract disclosure obligations and the interpretation of terms, conditions and warranties. 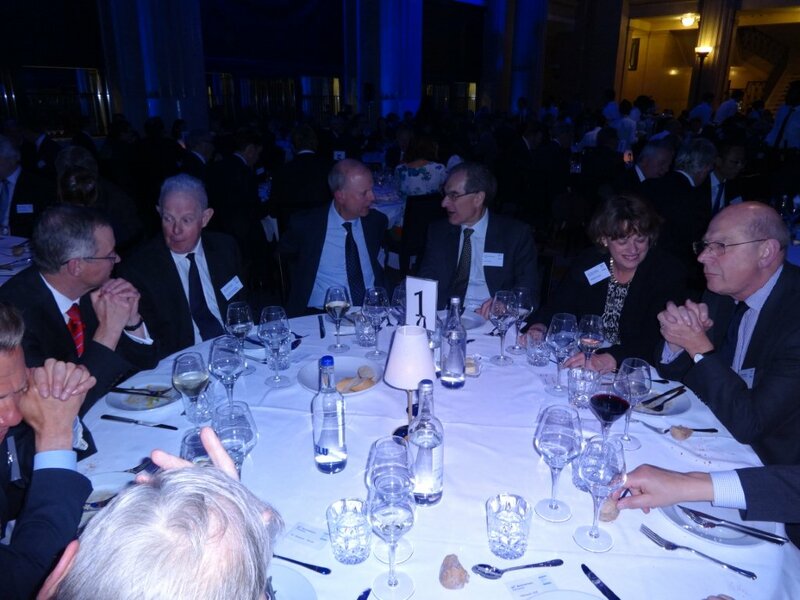 AIDA President, Michael Gill and AIDA Vice President, Jerome Kullmann BILA's were among BILA's guests at BILA's 50th Anniversary Colloquium and Dinner held on Thursday 15 May 2014 at the The Banking Hall, 14 Cornhill, London EC3. 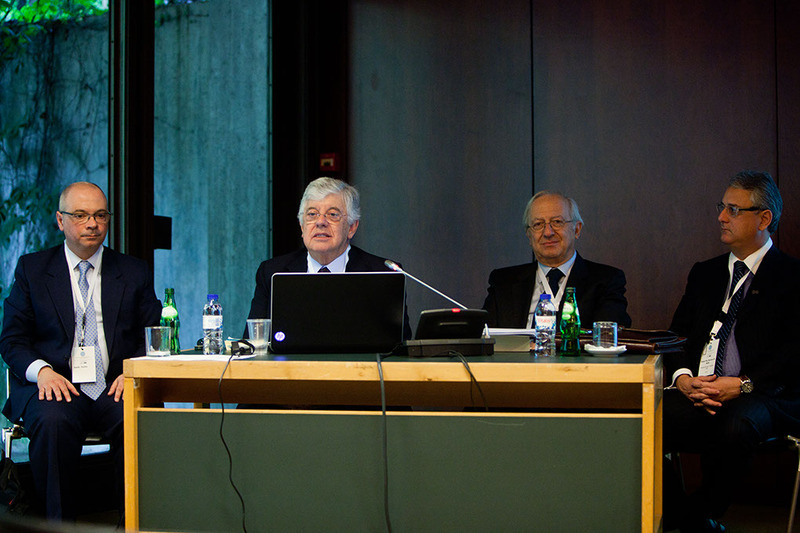 Serving as Chairmen of four sessions of presentations and discussion were: Prof Malcolm Clarke (University of Cambridge) - European Insurance Contract Law; Lord Thomas of Cwmgiedd, Lord Chief Justice of England & Wales - Insurance Fraud; Professor Sir Bernard Rix (formerly of the English Court of Appeal and now an arbitrator and Professor of Law at Queen Mary College, London) - British Insurance Law; and Sean McGovern, Lloyd's General Counsel - Regulation. The guest speaker at the Dinner was: Rt Hon Michael Portillo, PC, Member of Parliament 1984-1997 and 1999-2005 and former Secretary of State for Employment (1994-95), for Defence (1995-97), Shadow Chancellor of the Exchequer (2000-01) and latterly a TV and radio presenter and newspaper columnist. 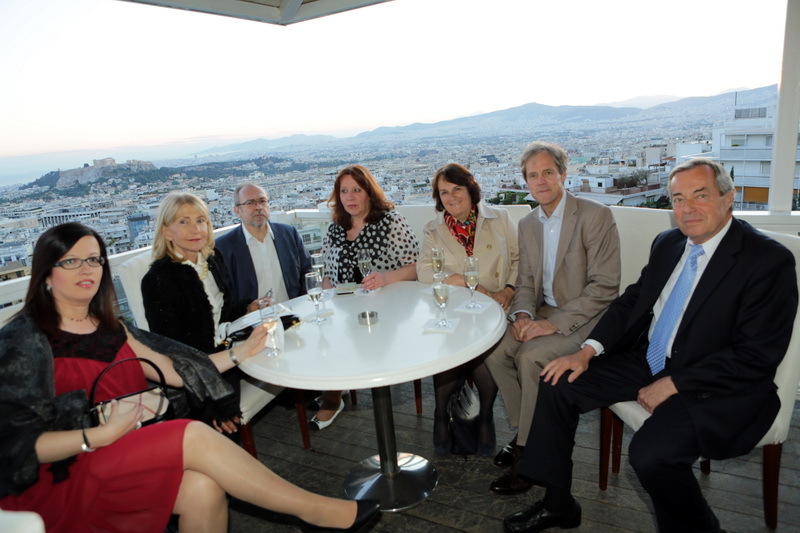 The works of the international conference, dealing with the major contemporary topic "Life, Health and Pension Insurance in the New Economic Environment" and organized by the Hellenic Insurance Law Association - the Greek Chapter of the International Insurance Law Association (AIDA) - in association with AIDA, were completed in Athens, Greece, 7-9 May 2014. Its unique success lies in the central thematic chosen and on the outstanding speakers, leading law experts, such as Prof. Van Hulle - Former Head of Insurance and Pensions of the European Commission and other well-known Professors, such as M. Wandt, S. �nan, I. Rokas, O. Contreras-Strauch, O. Chatzinikolaou-Aggelidou, along with leading top executives from the insurance industry and respective academics, such as Mr. Μ. Khalaf - President of MetLife Europe, Middle East, Africa; Mr. A. Sarrigeorgiou - President of the Hellenic Association of Insurance Companies, as well as its former Presidents, Mr. M. Moissis and Prof. M. Nektarios; Prof. L. Liaropoulos; Ms. P. Schuermans - the Coordinator for Insurance and Occupational Pensions Policy Development in the European Insurance and Occupational Pensions Authority (EIOPA); E. Zerveas - President, Hellenic Consumers' Ombudsman etc. Below are some images from the Summit. 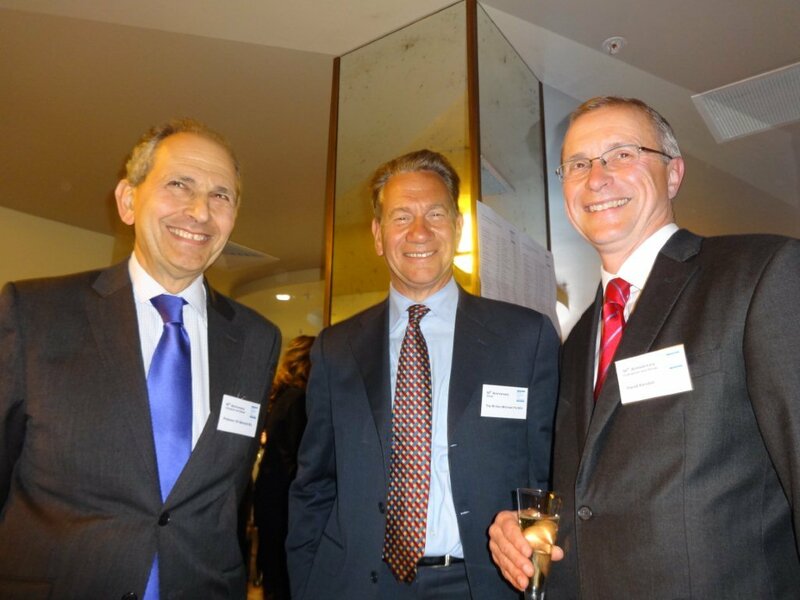 BILA, AIDA's UK Chapter, celebrated the 50th Anniversary of its formation on 25th February 2014. By Resolution of the AIDA General Assembly passed on 17 February 2014 a new AIDA National Section has been formally admitted from Malta. By Resolution of the AIDA General Assembly passed on 6 December 2013 a new AIDA National Section has been formally admitted from Croatia. It is with great regret that the news has been received that Presidential Council member and President of ACOLDESE, Dr Andr�s E Ord��ez Ord��ez passed away on 20 September 2016. He will be remembered as an eminent jurist and academic. President Jerome Kullmann paid tribute to Dr Andres Ord��ez at the Presidential Council meeting in Lima on 3 October 2016 and the Presidential Council had a minute's silence in memory of Dr Ord��ez. Attached is the resume of Dr Ord��ez's career which was referred to by President Kullmann. 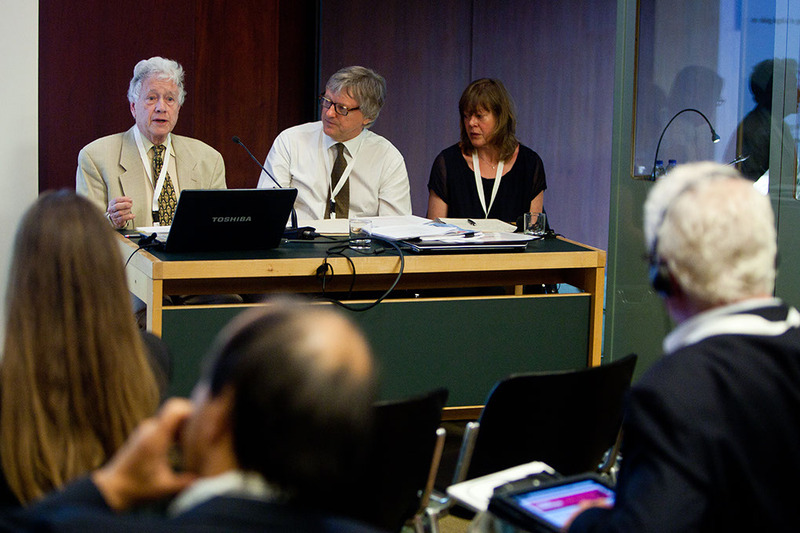 John Hastings, a stalwart of AILA and an attender at many AIDA World Congresses has died after a short illness. A Tribute was paid to John at the Presidential Council meeting in Athens. 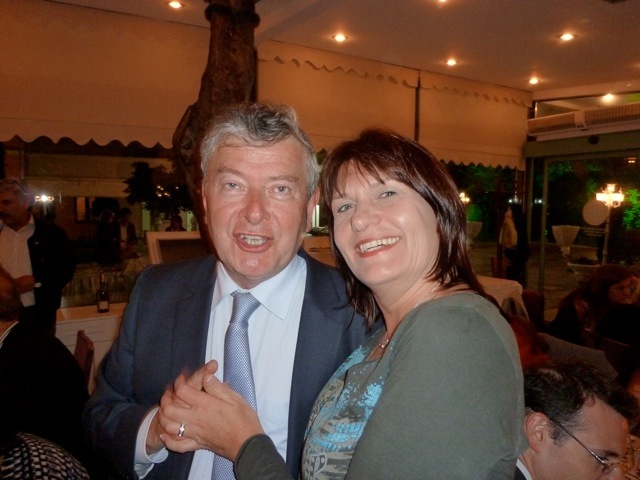 A Eulogy prepared by the President of AIDA, Michael Gill is attached here. 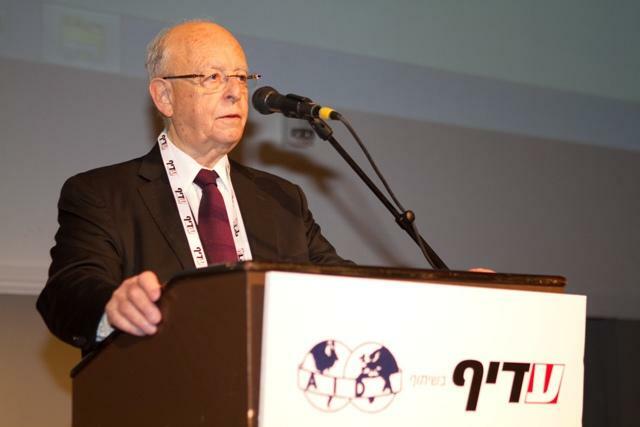 We have recently learned with great sadness of the death of former AIDA President (1986-1990) Bernard Viret. 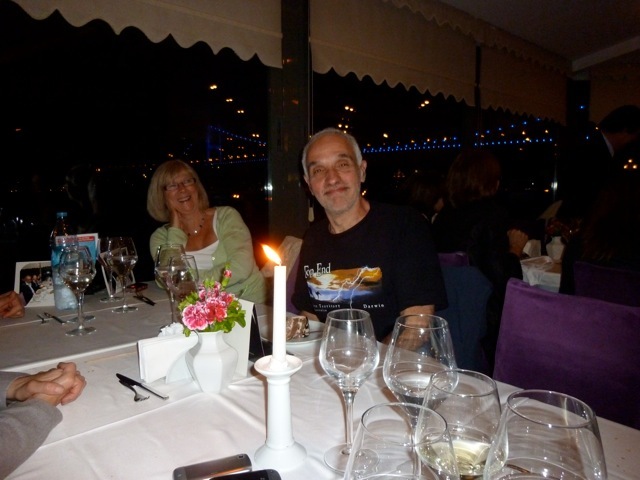 A consistent participant and supporter of AIDA over many years, Bernard's presence will be greatly missed. A full tribute by the President, Michael Gill, is attached here. 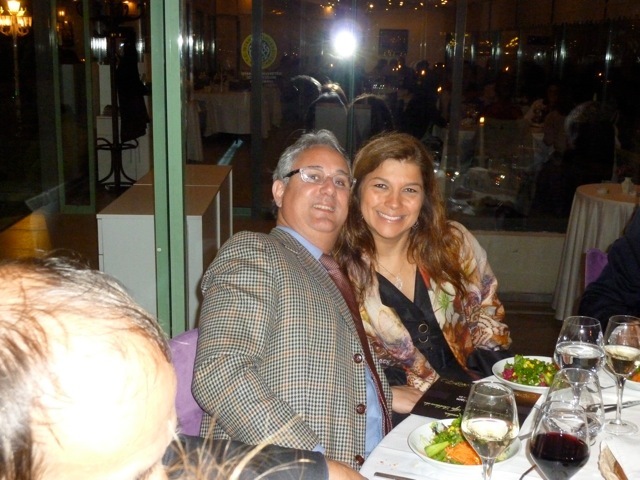 We have recently learned with great sadness of the death of AIDA's good friend, Emilio Bullo. 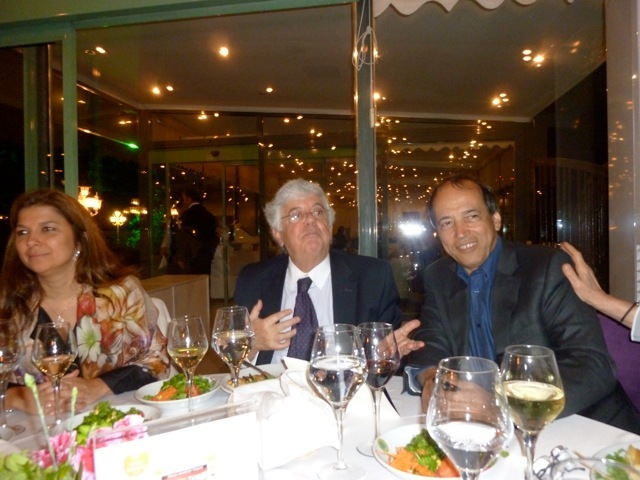 Emilio passed away on 13 November 2012 after a long illness which he bore with endurance and wisdom. 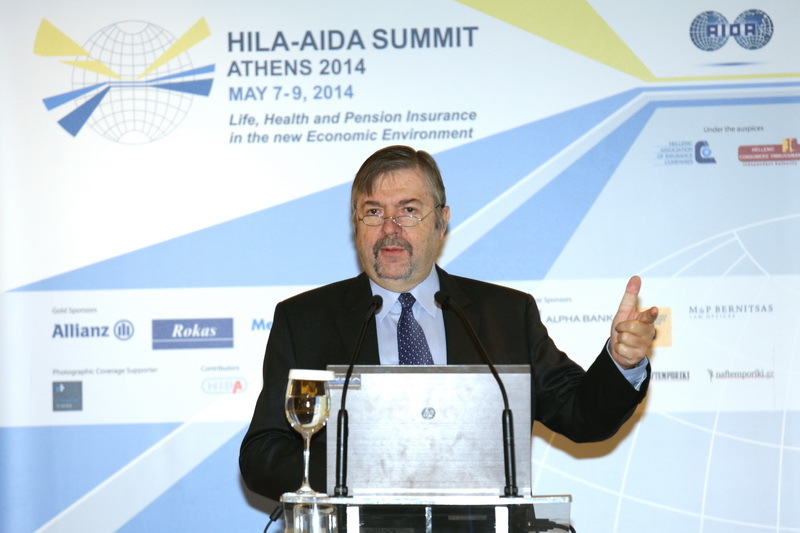 A stalwart and hardworking supporter of AIDA over many years, Emilio will be greatly missed. A full tribute by the President, Michael Gill, is attached here. It is with regret that we record the death of Dr Eiichi Kimura who for many years was a strong supporter of AIDA and served on the Presidential Council. He was a renowned scholar in the study of insurance in Japan. The funeral service for Dr Kimura was held on 9/10 January 2013 in Japan. A full tribute by the President, Michael Gill, is attached here. 21 de diciembre 2012 - La Asociaci�n Mexicana de Derecho de Seguros y Fianzas, A. C.
Estimados todos, les compartimos la noticia, de que Arturo D�az Bravo, profesionista reconocido en el Derecho de Seguros en M�xico , falleci� el d�a de hoy. La Asociaci�n Mexicana de Derecho de Seguros y Fianzas A.C., lamenta profundamente la muerte de uno de sus fundadores. Reciban todos sus seres queridos, amigos y familia, nuestro sentido p�same. Atentamente, Consejo Directivo Nacional. A full tribute by the President, Michael Gill, is attached here. Dr Karoly Bard who was for many years a member of the Presidential Council of AIDA and Chairman of the AIDA Hungarian Chapter passed away on 10 September 2012. He will be deeply missed. At the Presidential Council meeting in London on 12 September 2012, the Presidential Council remembered Karoly with a minute's silence. A full Tribute by the President, Michael Gill, is attached here. 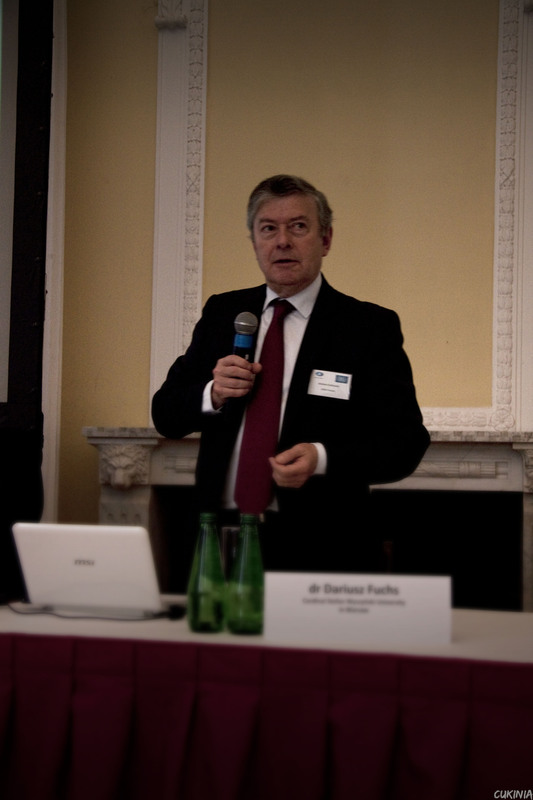 Members of AIDA will be deeply saddened to hear of the passing of Professor Bob Carter on 18 September 2012. Bob was for many years Professor of Insurance at Nottingham University, and is probably best known to the membership of BILA as author of the classic text Reinsurance, a new edition of which was close to completion at the time of his death. Those who knew him will remember a brilliant, gentle and humble man whose advice and expertise was sought constantly in the insurance market. He leaves an impressive legacy of published work. After retirement from the University, Bob and Rita spent much of their time in Sidmouth. Latterly they returned to Nottingham. Bob was a towering figure who will be greatly missed. There is a new Chilean Insurance Act. An article relating to this can be found on the Chilean Chapter's page of this website. 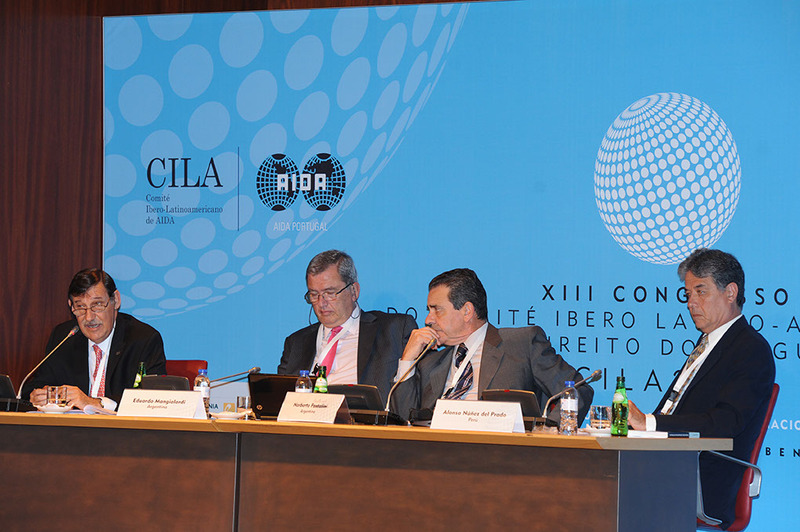 CILA (Iberian Latin American Insurance Law) Congress took place at the Calouste Gulbenkian Foundation in Lisbon, Portugal on 8/10 May 2013. 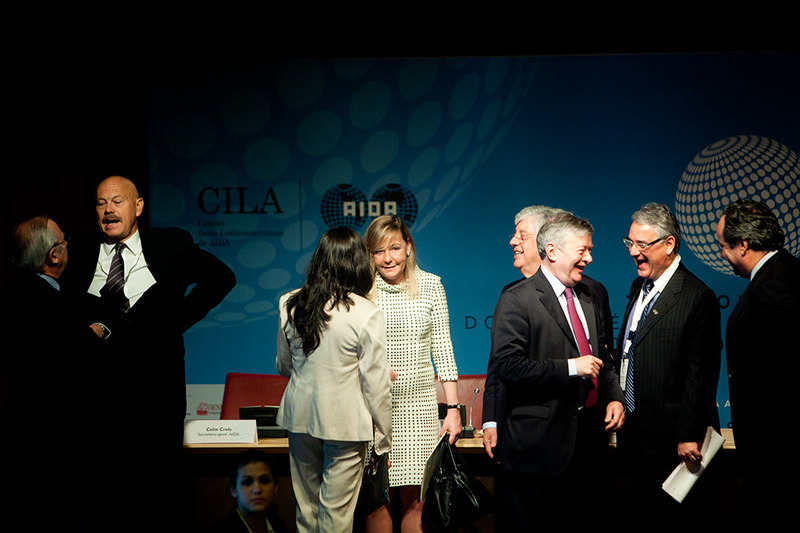 CILA includes all sections of AIDA in Latin America and also those of Spain and Portugal. 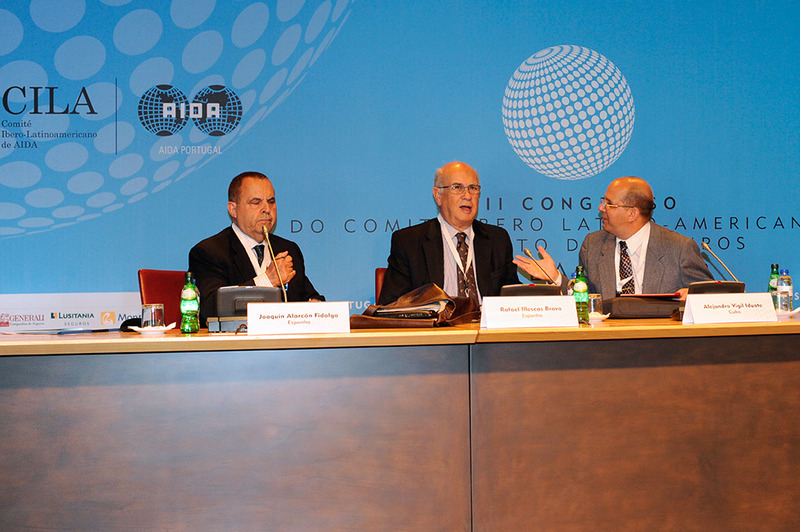 The AIDA Presidential Council met on 7 May 2013 in Lisbon. Attached is the programme in Spanish, Italian and English. Below are some images from the conference. 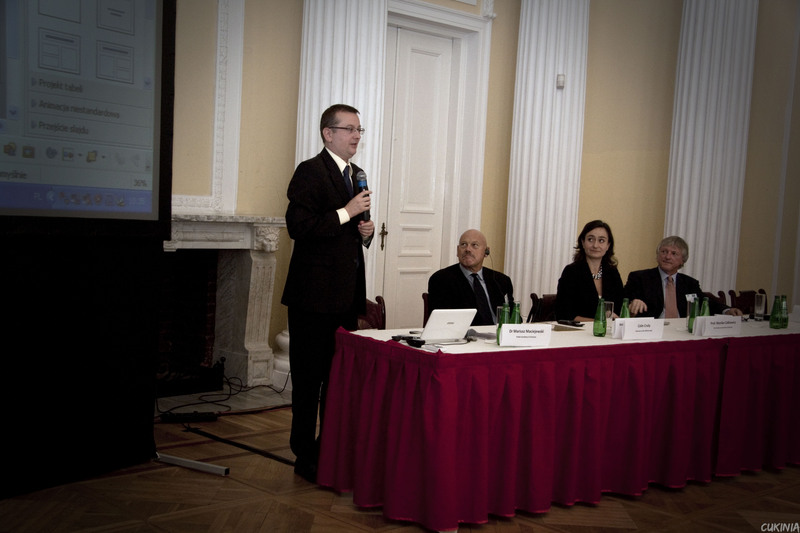 The Polish Chapter's first conference on e-Insurance and New Technologies in Insurance took place in Warsaw on 12 October 2012. Below are some images from the conference. For the Recent dissertation by Dr Hector Soto relating to "The Insurance Contract and the project and Commercial Code Civ 2012" please click here. Attached programme for the SEAIDA Conference on 26 April 2012. The attached informative newsletter from Gross, Orad, Schlimoff & Co on Insurance Coverage for Terror Damage in Israel has been forwarded to AIDA and we place it on the website for the interest of readers. Alan Balaga - The Duplicity Between Pension Fund Payments and Tort Claim Damages. 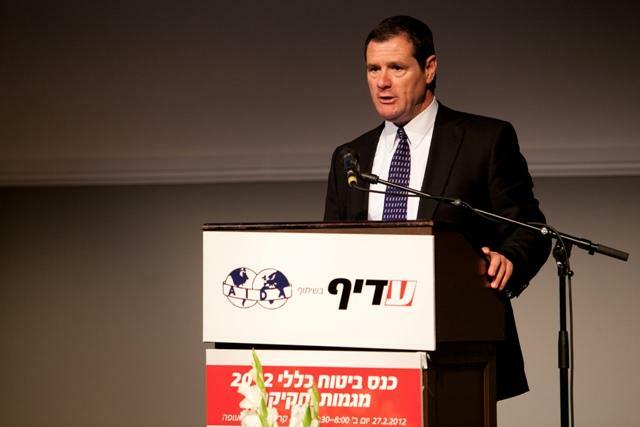 Peter Naschitz, President of AIDA Israel, was Chairman of the conference. Attached is a brochure of the event together with some photographs. 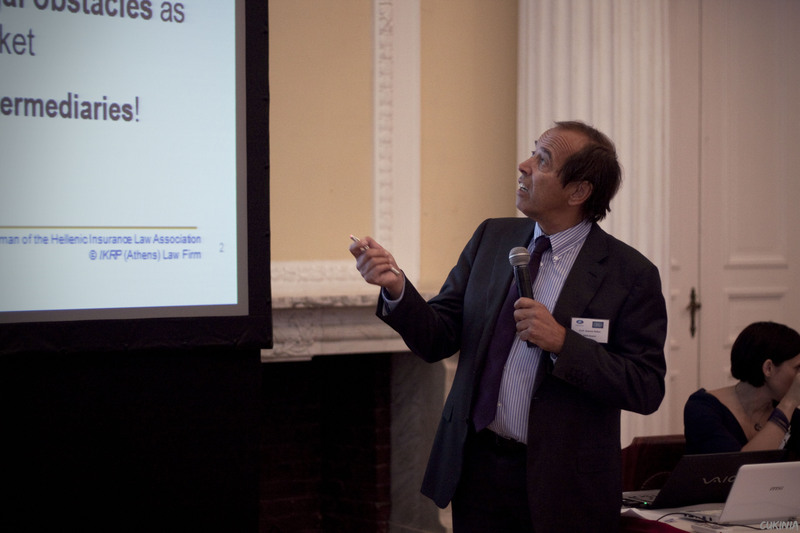 The US Chapter hosted a conference "Emerging European and International Solvency Standards - the Implications of the New Regulations for US-EU business" on Monday 5 December 2011. 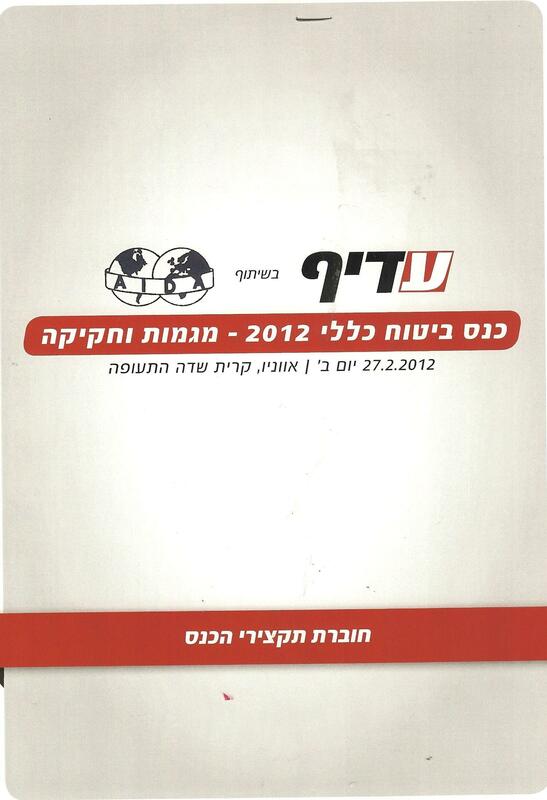 A copy of the programme is attached. 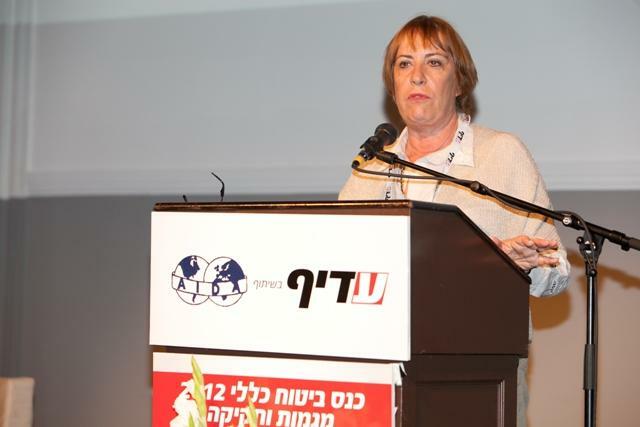 By Resolution of the AIDA General Assembly passed on 26 October 2011 new AIDA National Sections have been formally admitted from Bulgaria and Cuba respectively. Congratulations to the Finnish Chapter for 80 years of existence. 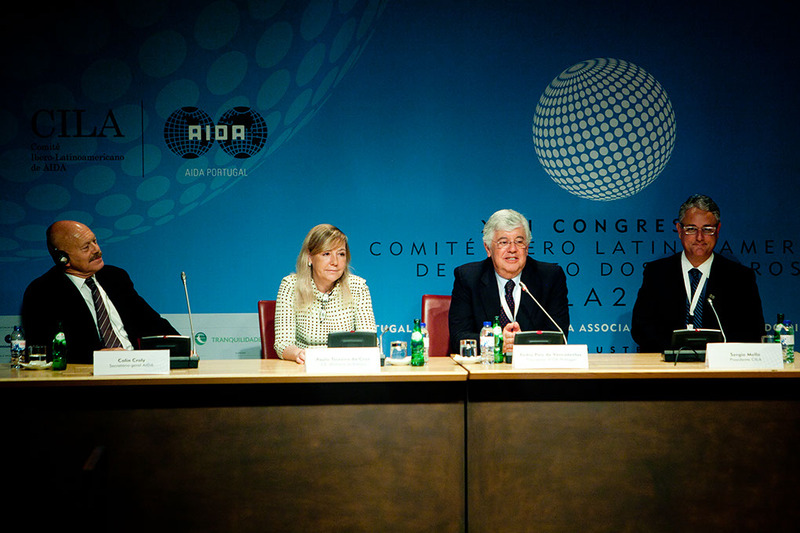 AIDA Uruguay celebrated its 50 years establishment in 2012 and on 12 and 13 April had a conference in Montevideo. 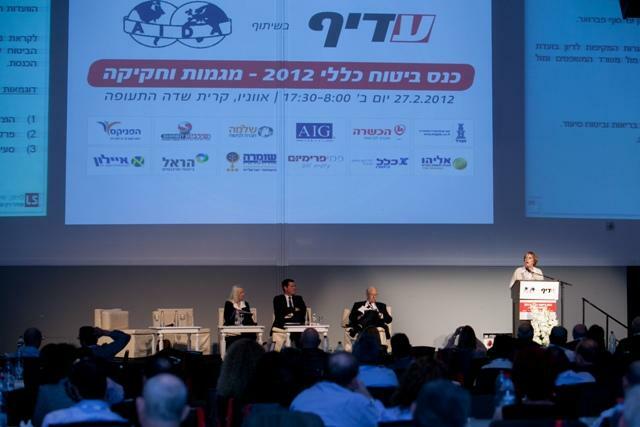 Click here for some images from the AIDA Israel conference held in Tel Aviv from 7 - 9 September 2011. Attached is the programme. Armando Zimolo for many years a member of the Presidential Council and Chairman of the Motor Insurance Working Party sadly died in December 2010. 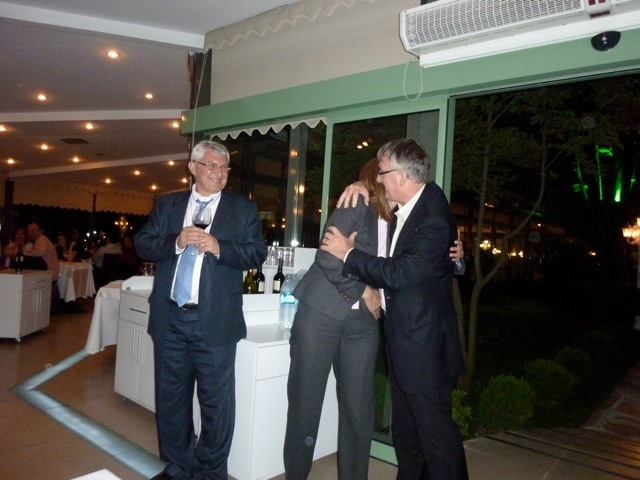 He is greatly missed by all his colleagues in AIDA who remember him with affection and also for his hard work, in particular, in running a very effective Motor Insurance Working Party for so many years. Fernando Sanchez Calero was for many years a member of the Presidential Council and sadly died on 15 May 2011. 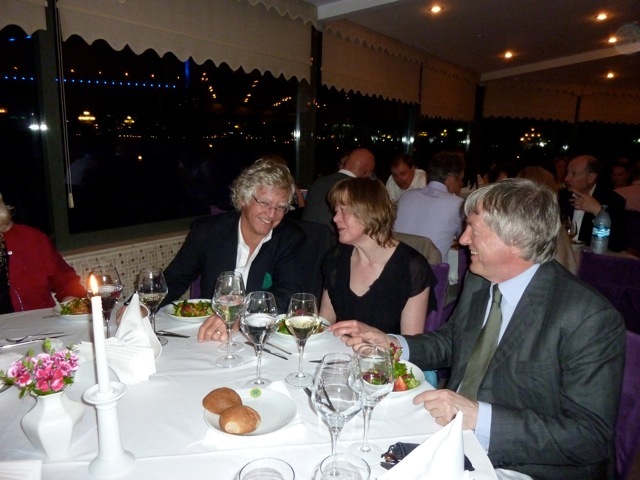 His colleagues in AIDA remember him for his industrious contribution to the workings of AIDA as well as his companionship. 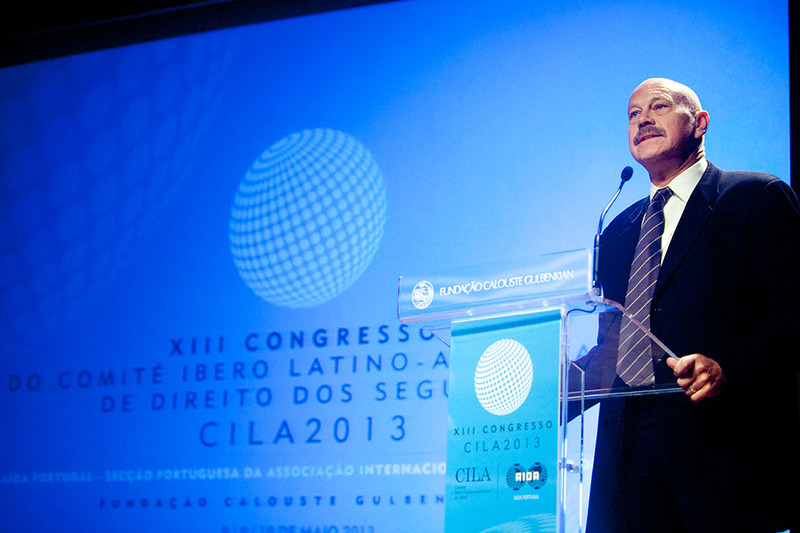 In particular, his activities with regard to CILA and SEAIDA will be remembered. 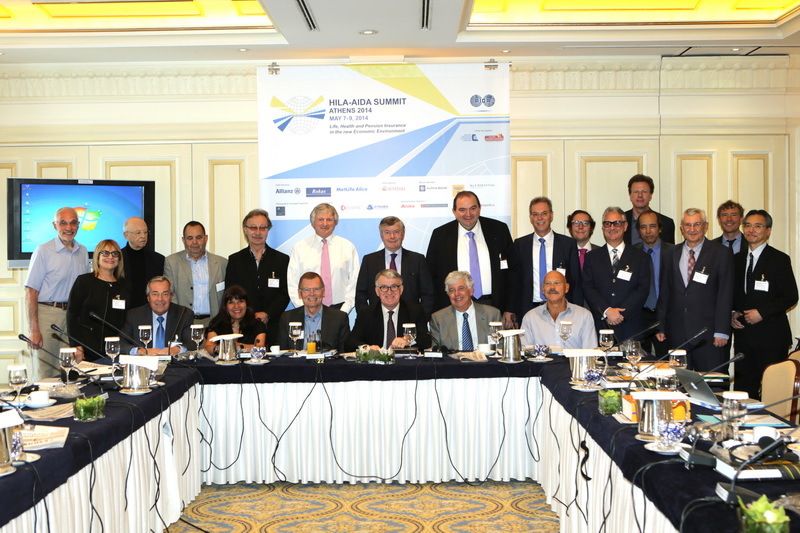 At the Presidential Council meeting in Tel Aviv on 8 September 2011 the President of AIDA, Michael Gill, paid tribute to Fernando Sanchez Calero and he was remembered by the Presidential Council with a minute's silence. You can read the tribute of the President attached here in English and Spanish. 28, Rue Saint-Dominique, 75007 Paris. This paper invited views as to which aspects of insurance contract law give rise to difficulties and should therefore be reviewed. Opinions were welcome from all perspectives: industry, consumers, regulators, lawyers, academics and others, however the closing date for responses has now past. A 'Liber Amicorum', in honour of Professor Antigono Donati. Please click here for details.